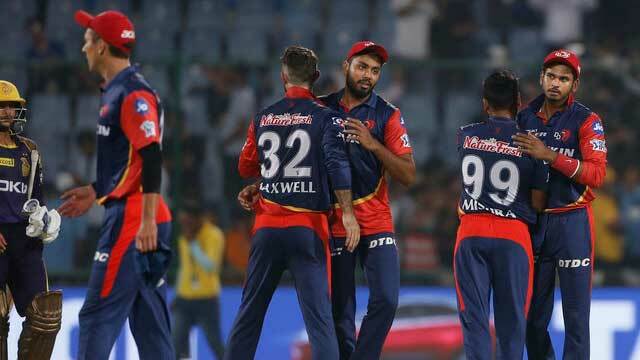 Dhaka, Apr 28 (Just News): Shreyas Iyer celebrated his elevation to captain of the Delhi Daredevils with an unbeaten 91 off 40 balls to beat Kolkata Knight Riders by 55 runs in the Indian Premier League on Friday. Iyer was handed over the reins of captaincy when Gautam Gambhir stepped down after Delhi lost five of its first six games in the IPL, AP reports. The 23-year-old Mumbai-born Iyer lost his first toss, but smashed 10 sixes and three fours as Delhi posted this year's highest total of 219-4 in the IPL. Kolkata top order stuttered to 3-33 against Trent Boult's (2-44) short pitched deliveries and was finally restricted to 164-9 with Andre Russell top-scoring with 44. "A great feeling, especially when you're leading for the first time," Iyer said. "It was really a nice toss to lose, because we were going to bowl first. Batting gave us freedom to express ourselves." India's Under-19 World Cup winning captain Prithvi Shaw, playing in only his second IPL game, set up a strong foundation of Delhi by scoring an elegant 62 off 44 balls with two sixes and seven fours. But it was Iyer and Glenn Maxwell's (27) blazing partnership of 73 runs off just 31 balls in the latter half of the innings which took the game away from Kolkata. Medium fast Shivam Mavi (1-58) was hammered for 47 runs in his last two overs with Iyer smashing the seamer for six sixes and a four. Kolkata missed out on its chances of containing Delhi with both Iyer and Maxwell getting dropped in the deep. Iyer reached his half century with a six off Mavi which should have been caught by Robin Uthappa on the edge of the boundary, but the ball bursts through his hands. And Maxwell was dropped on nine by Nitish Rana over his head off Sunil Narine which resulted yet another six. Kolkata lost its momentum early in its run-chase when Boult had Sunil Narine (26) and Uthappa (1) caught with short deliveries. Russell and Shubman Gill (37) fought briefly with a 64-run stand in six overs before Kolkata lost cluster of wickets to lose its fourth match and has six points. Off-spinner Glenn Maxwell, who clean bowled dangerman Chris Lynn in the first over finished with 2-22 while leg-spinner Amit Mishra (2-23) and seamer Avesh Khan (2-29) also picked up two wickets each. "It was a big target," Kolkata captain Dinesh Karthik said. "When Russell bats, it always gives us hope. But he's a human, and we need to raise our hands and say we didn't play well today."